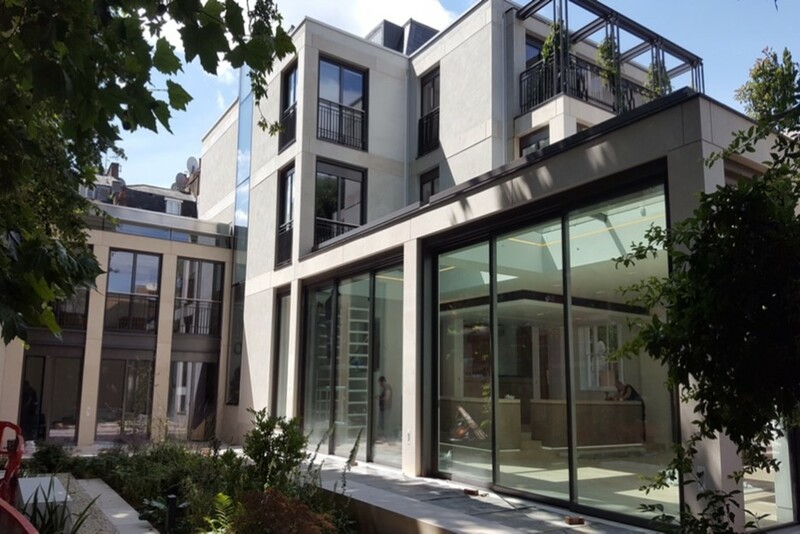 Orme square was a refurbishment of a 13,000sqft Grade 2 listed building and to meet with all the regulations imposed, a ground source heat pump system was untilised to provide simultaneous heating and cooling using water cooled fan coils feeding atriums and local areas. As well as proving underfloor heating and low temperature hot water at 45 deg C enabling a COP of 4.2 to be obtained. The heating and cooling load 70kw was achieved by installing a vertical closed loop bore hole system drilled to a depth of 130m. Two Aermec heat pumps connected to a sliding header arrangement made the simultaneous heating and cooing arrangement possible.